For me, one of the nice things about growing older – both in age and in my faith – has been the opportunity to wrestle with faith questions in my life. Over the years, one of the most important of these questions has been the role of baptism in salvation. Background – I grew up in a church tradition, and went to a Christian college, that both viewed and taught baptism as being a necessary, final step to being saved. There was a specific salvation process – you believe, you repent, you confess, and you are baptized. All four of these steps were necessary, and the omission of any, at the very least, put your salvation at risk. It was looked at sort of like changing the tire on your car, but forgetting to tighten the lug nuts on the spare. Yeah, the tire is there, but it’s probably going to fall off as soon as your drive away. Then you wreck and die. I had often questioned this view of baptism, but had neither the depth of faith nor the moxy to dig into it further. I had asked myself questions like, “If you saved a person in the deserts of Africa, and the nearest “dunkable” water source was 5 miles away, and this person simply could not make it to the water source, would they really die and go to hell?” Scriptural references aside, this simply did not make sense to me. It was contrary to the loving and relational nature of God. A turning point began for me around 1997, when I heard Bob Russell, senior minister of Southeast Christian Church in Louisville, Ky, do a sermon series on these 4 steps of salvation. Long story short, he spoke of baptism in this way…..baptism isn’t necessarily required for salvation, but it is required for the “assurance” of salvation. God is not a legalistic God, so it’s not in his nature to make us do things to earn his love. But read the New Testament, especially Acts – Jesus was baptized, and everyone who came to know and believe in Christ was baptized. If it was good enough for Jesus and the first Christians, shouldn’t we naturally follow that example? This made sense. It left open the possibility that a person was saved upon belief and repentance, even if they couldn’t immediately get to a baptistry, creek, or lake. It helped me see baptism as a celebration of salavation, rather than the final exam. Since that time, I’ve viewed baptism as a wedding ceremony to Christ….when you fall in love and commit your life to your future spouse, you don’t have to just run out and immediately get married. At the same time, it’s not necessary to have a full blown wedding with 100’s of people and a fancy ceremony. Yet couples like to do this, because it’s a celebration. It’s a way to celebrate their love with others, to make it public, to create a memory that will last forever. You don’t have to get baptized immediately….accordingly, nor should you wait 2 years to do it. You can be baptized in front of 2 people or 10,000. The point is, it’s a celebration of your love for Christ. It’s your wedding to him. Maybe – MAYBE – you don’t have to marry Christ. Maybe God’s love reaches wide and long enough to hold you in, even if you ignore this important step. But why would you? Why ignore the example of Christ and the early believers? Why explain away its importance? Why sprinkle when Christ was immersed? Why baptize babies when people in the Scriptures made this decision on their own? Why roll the dice and take the chance? In this way, baptism as the “assurance” of salvation has always made great sense to me. Yesterday, we had another Crossings baptism celebration. As always, it was great. At Crossings, we have baptism celebrations every 3-5 months. In most cases in our community, new believers in Christ are not baptized immediately. I have old friends who would have a great deal of issue with this, so much so that they would probably not attend our church because of it. I can understand this, I just don’t agree with it. You just can’t imagine how special it is when we plan these celebrations, invite the entire community, have dozens – even hundreds – of people show up, and all celebrate wildly together when each person is raised from the water. As a result, our baptisms are less of a hurried requirement (and even sometimes annoying to those who are ready to leave church and get to lunch before the crowd arrives)….and more of an anticipated party. I’m so grateful for the depth of God’s love. And I’m thankful that the waters of baptism are not a hoop, a jump rope, a high bar, or a 3 point line. Rather, they are 2 open arms, a kiss on the cheek, a thousand hugs, and enough “woo hoo’s!” to last a lifetime. And, best of all, I snapped a picture of a redneck guy with plumber pants getting a $10.00 chair massage from a street vendor! Two Sundays ago, I was honored to be able to speak for about 15 minutes during the two Sunday services at Crossings, as part of a mini-series called MMIQ – My Most Important Question. We did this last summer as well, with 6 different people sharing over two weeks. Same this year. It was very tough, very emotional, but I’m so thankful to have been able to share openly with our community. It was really the first time ever since my legal problems started 9 years ago that I’ve given any sort of public testimony of any kind. I didn’t go into a lot of detail about the things I did, but really talked more about how the Crossings community has truly changed my life and made it possible for me & my family to experience true community, when I had thought that might not ever be possible again. I want to say thank you to so many people who hugged me, cried with me, and encouraged me after each service (many of you are readers, so thank you, thank you, thank you). I was a little scared to share some of my experiences, and was not sure what to expect in response. I couldn’t have been more blessed, encouraged, and loved. It simply reinforced what this community is all about. Amazing. Finally, this past weekend, I had the opportunity to see my college roomate for the first time in over 8 years! Andy (I’ve called him Buddha since our freshman year – long story – but that’s what all our friends called him all through college), his wife Jen, and their oldest daughter Oliviah were in Florida on vacation this past week, and were driving back through Knoxville on their way back home. They stopped by Saturday afternoon, spent the night with us, came to Crossings, and headed back out Sunday afternoon for a drive home to Indiana. It was so incredible to see my friend again after so long. We were roomates for 3 1/2 of our 4 years of school and recounted so many great times, stories, and pictures. He’s now the father of 4 great kids, and is a riot squad leader at a maximum security prison in Indiana. I’m thrilled they are doing well, and can’t wait til we get together again….hopefully sooner than 8 years from now. At Crossings, we’ve already begun to jokingly refer to the fact that we love us some t-shirts. It’s been cool on my part to be part of providing t-shirts for the community over the last 2 years. In fact, I fully believe that t-shirts can help instill a sense of community … they commemorate moments or events, they help you feel connected. It’s awesome showing up pretty much every Sunday morning and seeing at least a few people wearing a Crossings t-shirt of some kind. Below is a recap of all the t-shirts we’ve produced thus far. For each tee – the front of the shirt is on the left hand side, the back of the shirt is on the right hand side. Here’s a brief description of each (from the top). 1 – Crossings Logo Tee – Crossings logo on the left chest with “HPFTWBTG” on the back (Helping People Find Their Way Back to God). We’ve actually done two runs of these – some in black, some in charcoal, some in chocolate brown on a ladies cut tee. We also printed the front logo on several hooded sweatshirts, which everone seems to have really loved. Probably about 150 of these shirts and hoodies circulating. 2 – Crossing Baptism Tee – given to anyone who is baptized at Crossings as a commemorative shirt. 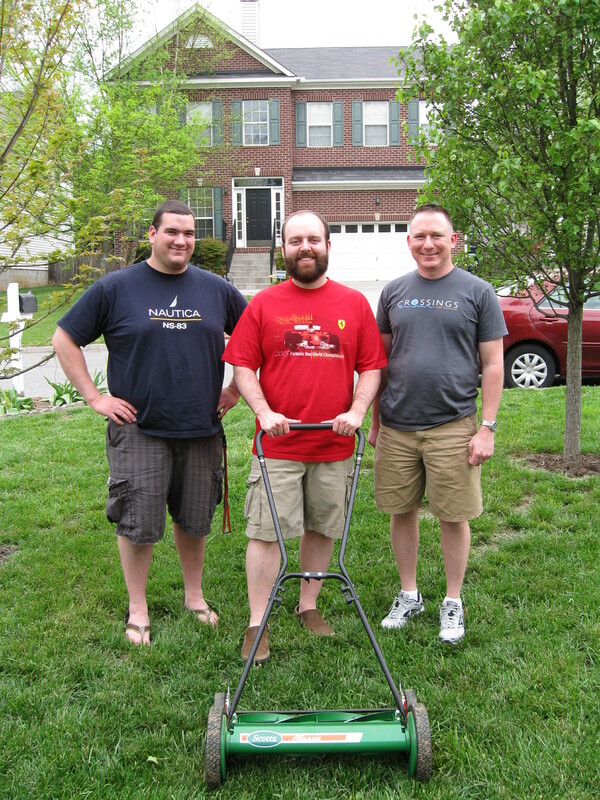 3 – The Tour of John’s Story Tee – we did about 300 of these last March at the end of a 20-something week long study of John. They were free to anyone who wanted one. 4 – Production Tee – we gave these out to all the people who had actively served and sweated during the time we were at the theater, setting up and breaking down every morning. We asked these awesome servants to come forward at the end of a service in January at 4MS to applaud their efforts and present their shirts. 5 – Pregnant Woman Tee – this was the one I did for my small group, and as a practical joke on Mark. I posted about this roughly a month ago. 6 – Never Thwarted Tee – Like the John tee, this shirt commemorated a 20-something week study of the book of Genesis. We took preorders for anyone who wanted one at a very low cost. Both this and the John shirt are “concert style”, where the back of each shirt has the date, the passage studied, and the “big idea” for that week. Similar to a concert tour layout. (UPDATE) Greg reminded me that I forgot the Balls Tee – Trevor, during a testimony last summer, basically said that his boss at work would sometimes tell him to “grow some balls”. And he said it just like that. Then realized his faux pax, then made fun of himself and had the whole place laughing. So I made some Balls Tees and had them there early a couple of weeks later, so when Trevor showed up, about 12-15 of us were wearing these shirts.